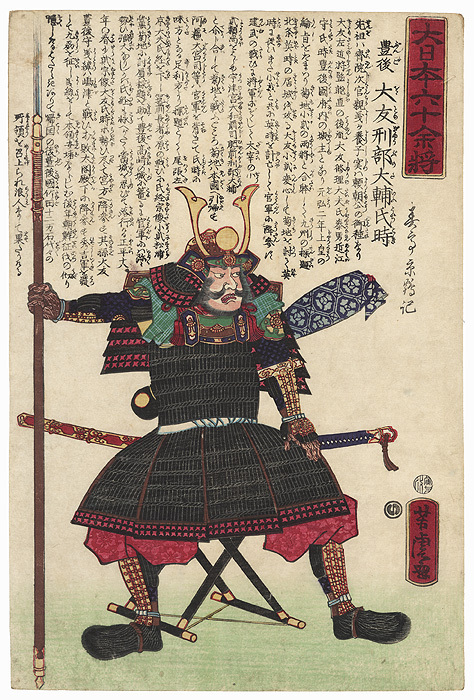 Otomo Ujitoki, 1866 - Handsome portrait of the fourteenth-century general Otomo Ujitoki sitting on a folding stool, grimacing as he stares ahead, a spear in his hand. 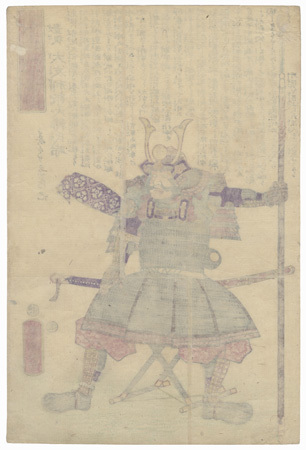 He wears a suit of armor over red pants and a horned battle helmet, a sword at his side and a quiver of arrows wrapped in cloth at his back. 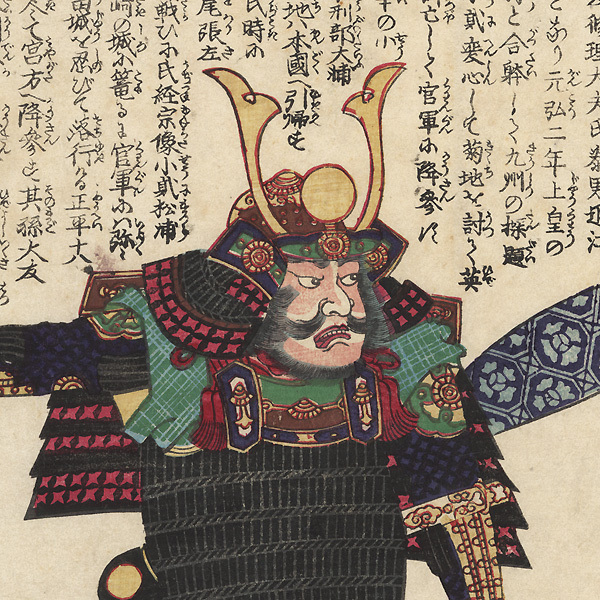 A nicely detailed, expressive figure. Image Size - 14" x 9 1/4"
Condition - This print with excellent color and detail as shown. Backed with paper. Small wormhole, repaired. Slight soiling, a few spots. Please see photos for details. Good overall.